GlobalSign is an identity services company providing cloud-based, highly scalable PKI solutions for enterprises needing to conduct safe commerce, communications, content delivery and community interactions. Our identity and security solutions enable businesses, large enterprises, cloud-based service providers and IoT innovators around the world to conduct secure online communications, manage millions of verified digital identities and automate authentication and encryption. Many organizations require the use of several SSL Certificates to ensure secure transmission of data throughout their sites and various internal networks. As the number of Certificates employed by an organization grows, so does the cost and staff time associated with managing higher volumes. GlobalSign’s Managed SSL platform significantly lowers the Total Cost of Ownership for SSL by reducing the man hours needed to manage certificates and offering volume discounts and flexible business terms. CloudSSL is an SSL distribution service designed specifically for providers of cloud-based services, such as CDNs, VDNs, eCommerce platforms, website builders, and other XaaS, that need to secure services or communications for many customers. With CloudSSL, service providers can build SSL into their existing offerings and make security easy for their customers, eliminating the need for customers to understand and manage SSL Certificates themselves. Certificate provisioning and management can be automated to reduce the burden on providers’ internal support teams. Digital signatures allow you to keep your entire workflow online. GlobalSign document signing certificates scale to accommodate businesses of all sizes, from individuals to large enterprises, with two main deployment options based on business need and document workflow. The main differentiator is whether you are using automated document generation software and want to integrate digital signatures (e.g., Adobe LiveCycle, iText-based solutions), in which case you’d need a server-based solution. GlobalSign offers a range of PersonalSign Certificates (Digital IDs issued to people or departments) with varying trust levels. Digital IDs can be used for a number of secure communications functions, including; secure email (S/MIME), authentication to online services and add digital signatures to Microsoft Office and other electronic documents to protect the document’s integrity and provide assurances of authorship to recipients. GlobalSign’s trusted timestamping Software as a Service (SaaS) provides a low cost and easy method to apply RFC 3161 trusted timestamps to time-sensitive transactions through independently verified and auditable date and UTC (Coordinated Universal Time) sources. GlobalSign timestamping service helps organizations reduce potential liability associated with time-sensitive transactions by providing a long term validation and non-repudiation of the time and date the transaction took place using standards-based implementation that is easily recognizable and compatible. GlobalSign SSO™ provides secure user authentication, authorization and access control for online services and applications. The product platform significantly reduces application complexity and development time, and provides users with seamless single sign-on capabilities across application platforms and operating system domains. 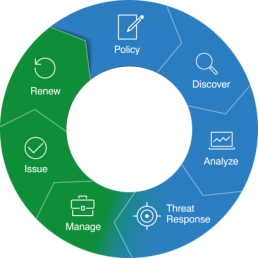 In monetary terms, this means cost savings of up to 29% for application life-cycle management. In many respects, mobile devices are no different than remote PCs when it comes to requiring strong authentication to securely authenticate users to enterprise networks, such as WiFi and VPNs. Certificate-based authentication via GlobalSign’s Managed PKI platform provides an easy and cost efficient solution that allows organizations to balance employee desires to access email and corporate data on the go, and the need to protect unauthorized access to key business applications. Just as organizations need to control which individual users have access to corporate networks and resources, they also need to be able to identify and control which machines and servers have access. Implementing certificate-based authentication means only machines with the appropriate credentials can access, communicate, and operate on corporate networks. GlobalSign's Auto Enrollment Gateway offers organizations an easy and cost-effective way to deploy and manage Digital Certificates for machine and server authentication. 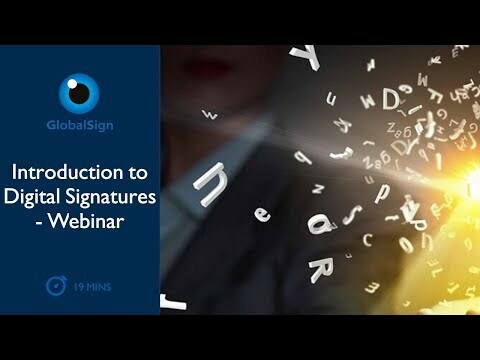 GlobalSign Code Signing Certificates are used by developers on all platforms to digitally sign the applications and software they distribute over the Internet. Code Signing proves the signed software is legitimate, comes from a known software vendor, and that the code has not been tampered with since being published. Code Signing prevents users abandoning the installation of an application due to security warning messages, malicious alternation of legitimate code, and identity theft of vendor author. EV Code Signing certificates build on the existing benefits of standard Code Signing certificates to offer stronger levels of assurance that the identity of the publisher is correct and has been verified. Strict vetting process assures end users that the identity of the publisher has been verified. Immediate reputation with Microsoft SmartScreen Filter removes scary warning messages to end users that the application might be malicious. GlobalSign helps reduce the time, effort and cost associated with managing multiple enterprise level SSL Certificates, providing centralized certificate management and all the tools, services and SSL products to reduce risk, respond to threats and control SSL cost. 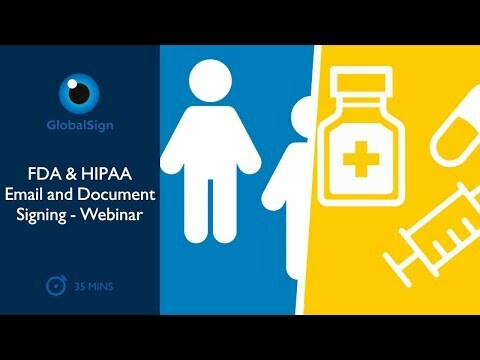 Globalsign secure SaaS-based platform offers unique features and functionality that gives to an Enterprise the complete control of certificate needs from one centralized account. APIs, Active Directory integration, and inventory tools make it easy to automate and track certificate deployments. GlobalSign’s Auto Enrollment Gateway (AEG) is a fully automated, managed PKI solution that addresses scalability in the modern mixed enterprise environment. AEG integrates GlobalSign’s hosted PKI solution directly with Active Directory, so enterprises operating Windows environments can automate certificate provisioning and management without the burden of maintaining their own expensive and complex Internal CA. With billions of devices connecting to the Internet, security is becoming more and more of a concern. The challenge is how to address IoT security and where to get started. The answer is Public key infrastructure (PKI), which is standards-based and proven to secure devices today. 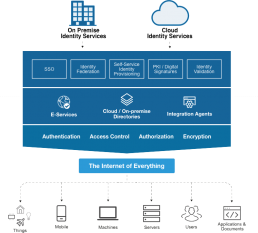 With the industry’s only high scale certificate service, GlobalSign is the Certificate Authority (CA) that can deliver certificates at cloud scale to meet the security needs of IoT innovators.